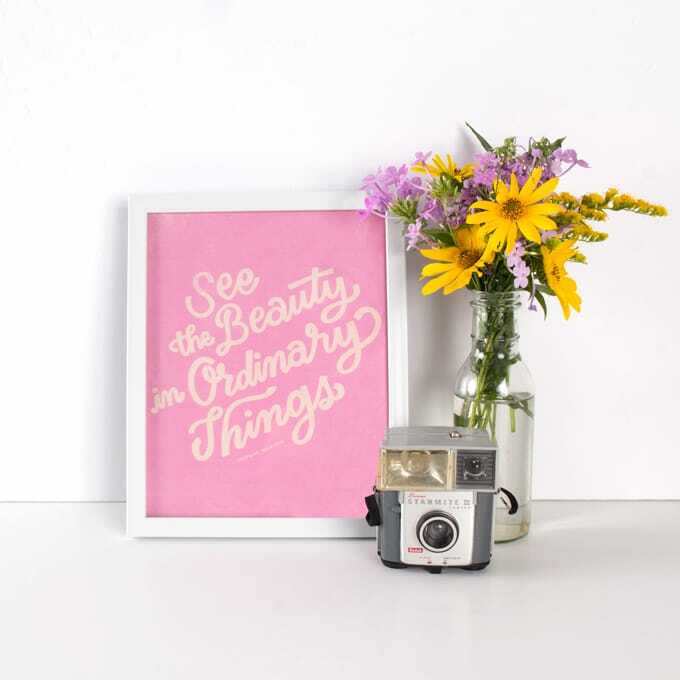 Join the court at CAMELOT. 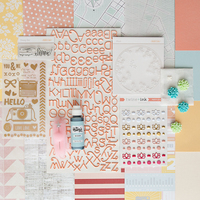 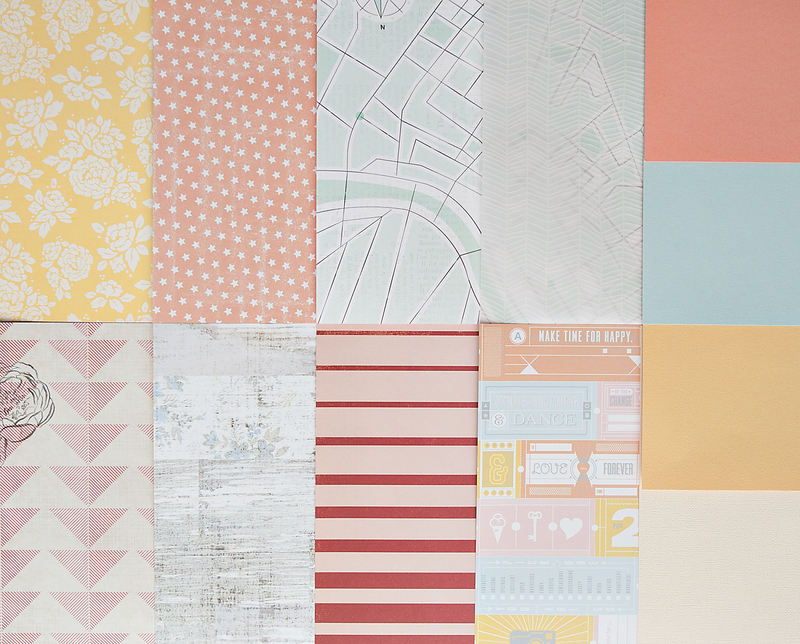 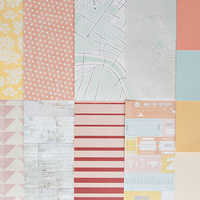 Our May kit tells a romantic story with a soft color palette of corals, pinks, yellows and aquas. 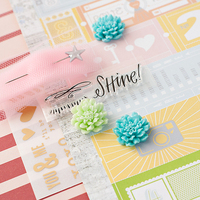 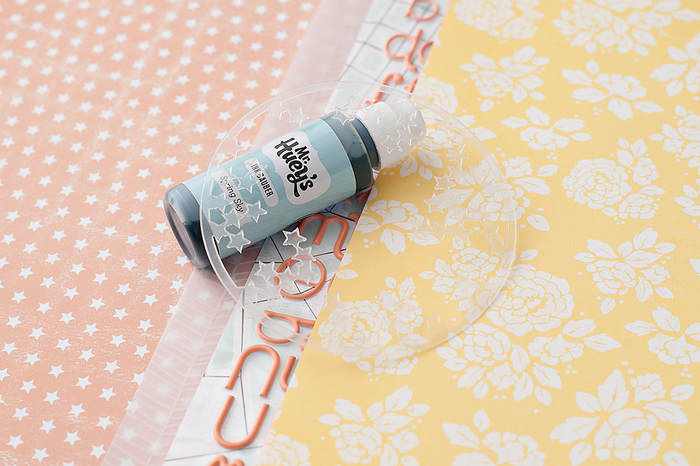 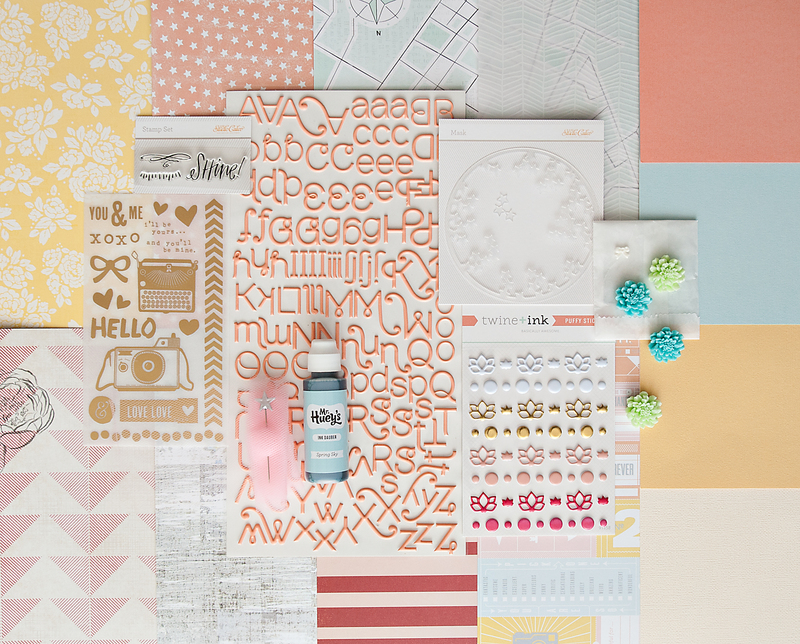 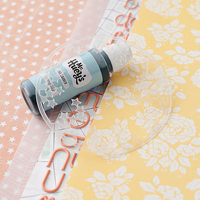 Dreamy patterned paper from American Crafts, Studio Calico and Basic Grey will set the tone for your projects, as will the sweet Twine & Ink puffy stickers and tulle ribbon. 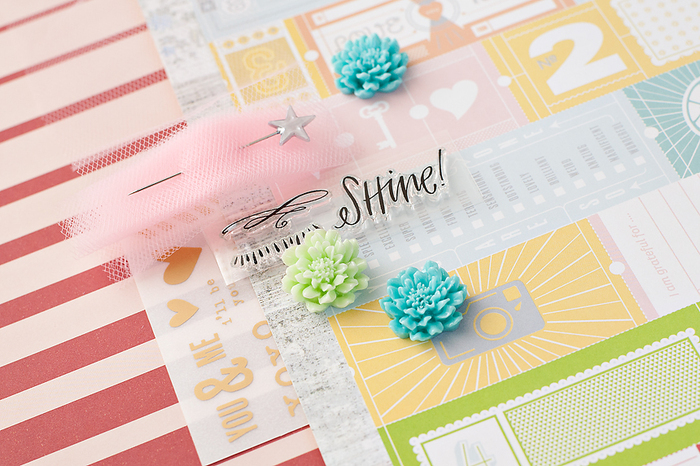 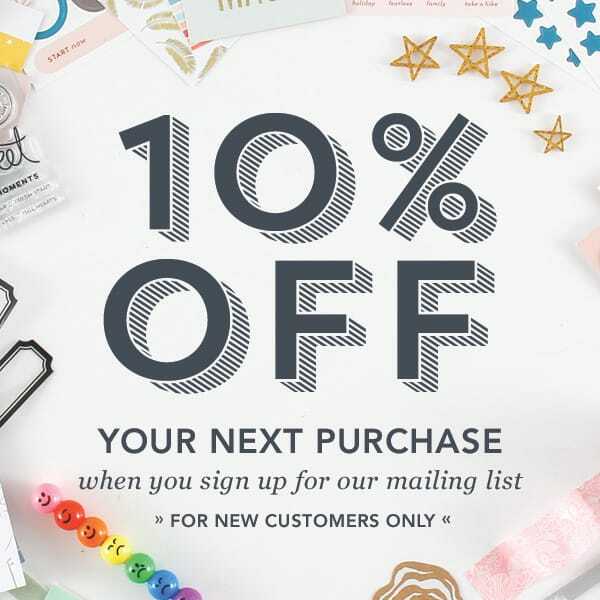 Gold rubons from Dear Lizzy and a stamp set from Lindsay Letters add a little “shine” to your memory keeping, and you’ll love the new exclusive Mr Huey’s Ink Dauber!